Noun. 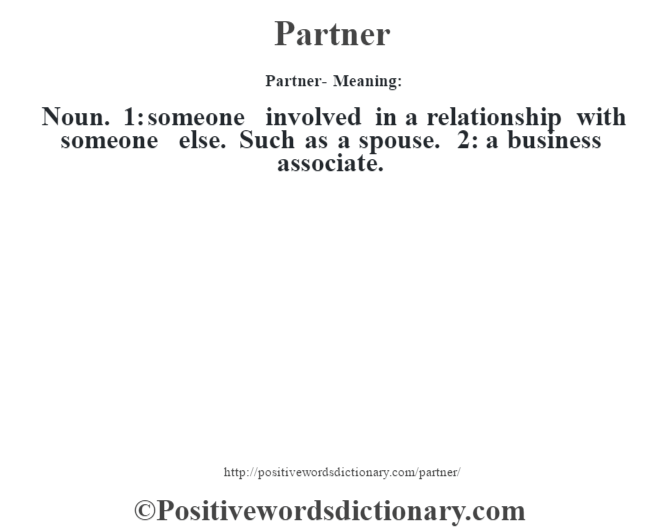 1: someone involved in a relationship with someone else. Such as a spouse. 2: a business associate.